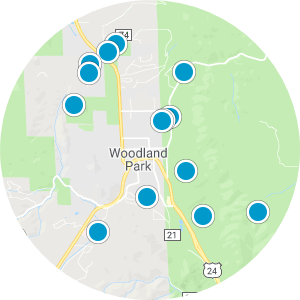 Northwoods is located in Woodland Park, CO real close to the Red Mountain Adventure Park and Meadow Wood Sports Complex. Once in Woodland Park, drive North on Highway 67 and make a left onto Evergreen Heights Drive. Go to the 4-way stop sign just past Red Mountain Adventure Park and make a right. Some of the homes in Northwoods back up to the Meadow Wood Sports Complex. There are NO COVENANTS for any of the filings in Northwoods. Watch the videos below to see what you and your family can walk to from Northwoods.